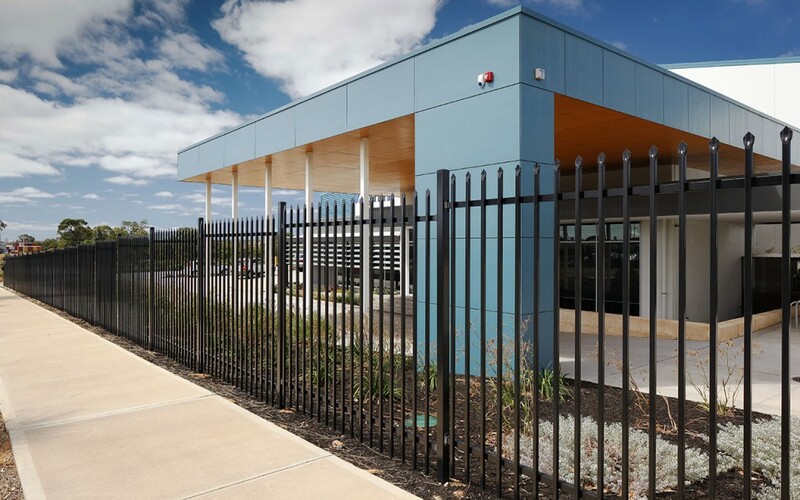 When a company set up to service the horticultural industry Agrifil Pty Ltd acquired their new premises in Hope Valley, WA, they wanted to ensure they had the right fencing solution to offer top security and safety. They approached K-Line Fencing Group and we were happy to be the fencing professionals called in to furnish their security fencing needs. Agrifil wanted to comprehensively protect their new property and it was clear from the outset that Heavy Duty fencing was required. We decided on a combined fencing solution, that would be trustworthy, safe and reliable involving Heavy Duty steel garrison security fencing with spikes on the top of the panels. This involved garrison security fencing, automated sliding gates and evenly stepping all the garrison fencing panels down the fence line to give both an excellent appearance and to follow the contour of the ground. As we met all the client’s requirements, and worked in our usual courteous K-Line style, the client was very pleased with the finished result.